Hemmelig Rom translates in Norwegian to “secret room”. 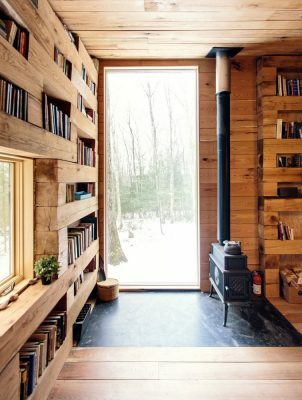 The client (of Norwegian heritage) had recently built a vacation home in upstate New York and wanted to add a separate, single room library on the property that would serve as an intimate respite within the forest and provide an additional guest room. During the construction of the main residence, several oak trees were felled to clear the site. 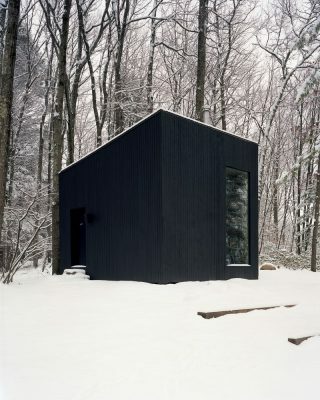 The strategy for the cottage centered on how to preserve and transform this material aspect of the site that would otherwise have become construction waste. The cut trees were planed on site into 8 x 8 square log sections. 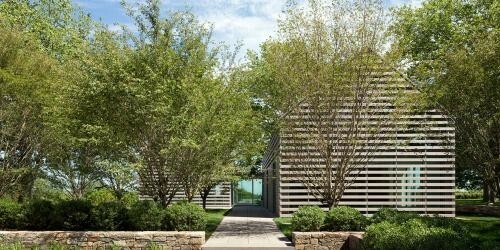 After air drying for several seasons, they became the basis for the cottage interior. 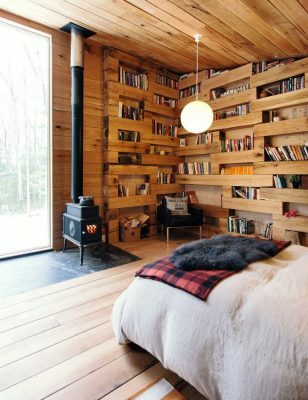 A logic of stacking was developed that created a varied lining of shelving and cubbies on all faces of the room. 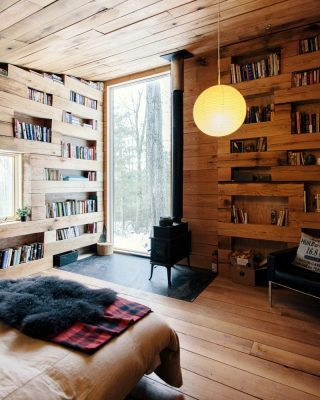 With a picture window to the forest, and a simple wood stove to provide heat, the space creates an environment for quiet reflection. 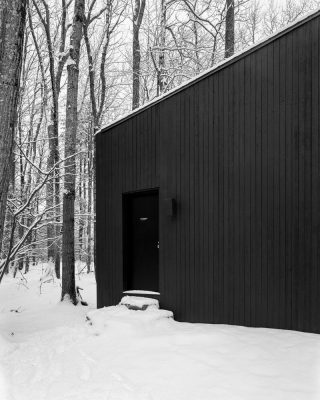 In contrast to the warmth of the interior, the monolithic black exterior strikes a strong figure in the landscape, creating an enigmatic presence in the winter terrain.